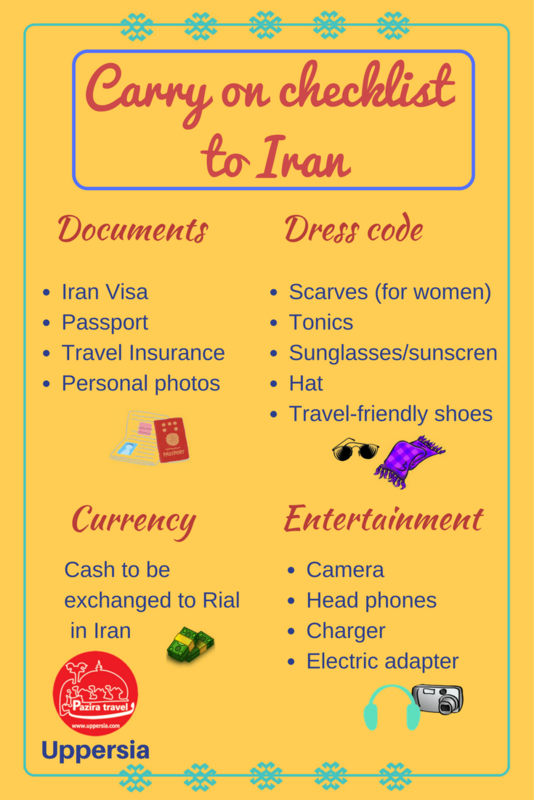 Uppersia Iran Travel blog: Carry on checklist for traveling to Iran. Wow, thanks for this very useful advice, cause its exactly what I am looking for. 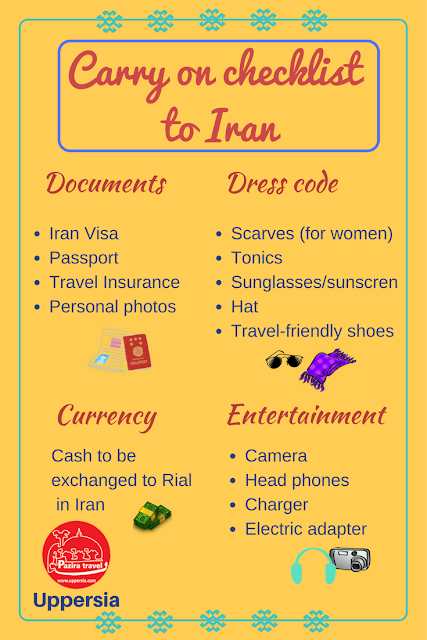 Its very sad that Iran isnt very popular travelling destination, cause I have been in this country for 2 times and every time it was just unbelievable experience! Unfortunately now I dont have so much time for travelling because of moving from one house to another. Hope this guys https://www.moveprola.com/studio-city-movers/ will help me to do it very fast and reliable.